I am so excited to announce that I will be participating in 31 Days again this year! last year was Preparing for Baby #3.
topic, it is a huge challenge. honestly, I couldn’t think of anything. blissful, and that I needed to do more of it. 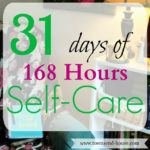 That is when my topic came to me – 31 Days of Self-Care. story, and my journey to self-care with some tips along the way. content to share with you all. I will come back and put up a link to the current days blog post. I hope that you will join me! Day 1 – What is Self-Care? Day 2 – Why is Self-Care Important? Day 10 – Where are you in Your Journey? Day 16 – Taking a Break when you Need It! Day 17 – no post today! Day 20 – no post today! Day 23 – no post today! Day 24 – no post today! Day 26 – The Struggle is Real! Day 30 – no post today! Day 31 – Wrap up! Self care is so so important! I feel like I don't take that time for myself nearly enough. I do like participating in things like this because it's nice to write the same thing as others, and then read what they had to say about the topic. I'm going to check out your Green Juice recipe now. Good for you, you really are able to get a lot done during the holiday season! I think this is a great idea and something I'd like to implement in 2016 myself. Day #12 would be my favorite! Saying NO is so difficult sometimes! My focus/goal for this year has been about self-care. I have not written much about it, but I will be sharing my successes and struggles in the area come January. I really believe that self-care is important. Day 26 – The Struggle is Real! is definitely my favourite. Self care is so important and helps us feel better about ourselves. Hygiene is so important to me and regardless of how tired I am I will always carry out my routine. Learning to take better care of myself and take some time to pamper. It's so important yet hard at the same time. Love the ideas you have listed! This is very interesting. I look forward to reading the series. Self care is so HARD when you are a mom!!! The more kids you have the less energy you have left at the end of the day. I can't wait to read all of these posts because I struggle with self care too!! Thank you for posting! What a great topic! I need to read through a few of these. With 6 kids, I don't get a lot of time to take care of myself. I'm stopping by from One Project at a Time. I love the 31 Days idea! And I really love your topic; I think it's especially important as the busy holiday season approaches. Thanks for linking up with The Alder Collective! Your post has been pinned to the party's group board, and we hope you'll join us again next Tuesday at 8 EST! Hi! 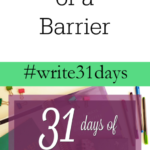 I found your blog through the Write 31 days link up. 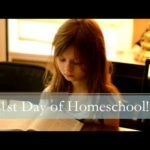 It's my first year participating and I'm also writing on self care this year! I have three little ones too, sounds like we have a lot in common. Happy writing!! Yes! I definitely know this feeling 🙂 I can't wait to check out your series as well! Hello, Fellow 31 Dayer! I'm looking forward to reading your perspective on self-care. It's a topic I've spent more time on in my own life this year. I'm writing 31 reflections of a first-time novelist. Looking forward to a great exchange of thoughts and ideas this month. Good luck! I love your topic! Writing a book is a dream of mine…perhaps some of my self-care tips and your reflections will help me on my way! Moms need to give themselves priority sometimes. This is a wonderful topic to spend a month on! This is an interesting project. I really like your chosen topic. As a mom, I totally forget to take care of myself (take a shower, brush my teeth, sit down, eat, etc.). I caught a glimpse of myself in the mirror the other day and I yelped! It's time to start taking care of myself. This scraggly mama, needs your posts! I can't wait until tomorrow! What a great idea! Looking forward to reading. I'm glad you will be joining us!